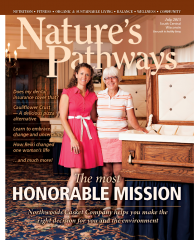 The lovely ladies of Northwoods Casket Co. made the cover of Nature's Pathways Magazine. 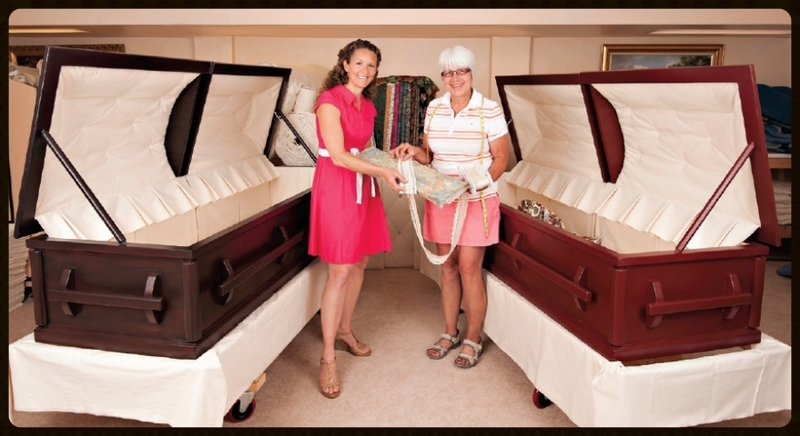 Grace Olson, editor in chief at Nature's Pathways Magazine visited the Northwoods Casket Co. in June. Grace gained an inside perspective on why we build sustainable, eco-friendly, handcrafted caskets. Grace also learned about our Plant it Forward! tree-planting initiative where we plant 100 trees every year for every person who creates or updates their advanced funeral plan to include a Northwoods casket, burial shroud, or cremation urn. As a former middle school teacher, the current vice president of operations for a successful business, a photographer, mother of two daughters and the wife of an “idea man,” Julie Zahn is no stranger to wearing several hats. While she admits it can be chaotic, she believes deeply in her mission and is determined to see it accomplished. Older PostUrban Forestry Council Awards Northwoods Casket Co. for "Innovations in Urban Forestry"